The world is in a pretty dismal state right now. While some are combating it by writing upbeat songs with messages of hope, Montreal-based Francophone singer-songwriter Safia Nolin embraces melancholy on her third album (her second of original songs), Dans le noir, and the result is surprisingly soothing. 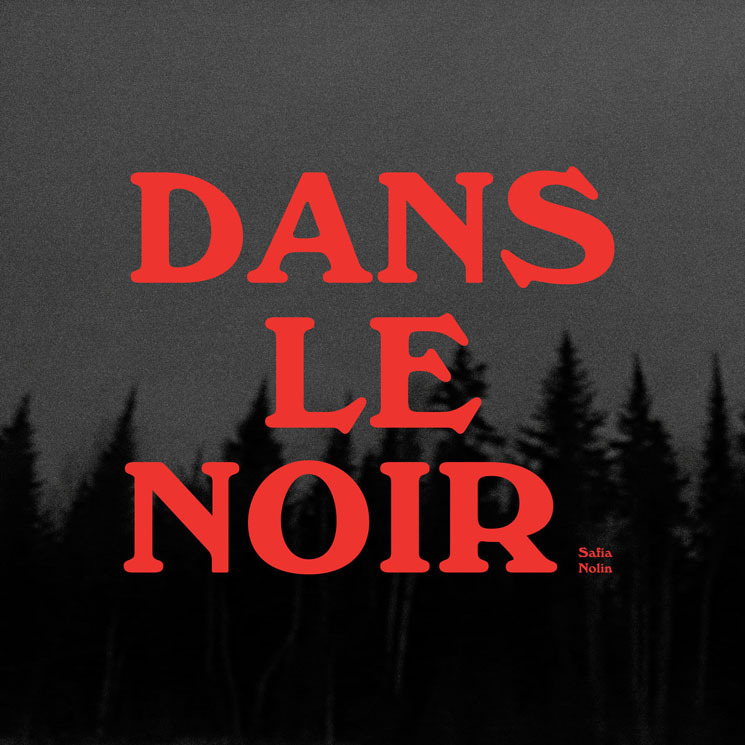 On Dans le noir Nolin muses on loss and the various ways the body reacts to anguish. Scattered among sparse instrumentation are snippets of field recordings and the wobbly sounds of voices — touches that help fill in the background of Nolin's otherwise minimalistic prose. Highlight "Sans titre" begins with fragments of fuzzy voices that change quickly, as if somebody is switching channels on an old TV. Eventually Nolin lands on a voice, perhaps her own, saying, "salut papa!" From there a gentle, dream-like arrangement of guitars and a piano embrace Nolin's striking emotions: "Je ne t'aime plus d'ailleurs," she sings. "Lesbian Break-up Song," a duet with La Force (Ariel Engle) and another standout from the album, is Nolin's most direct track. Nolin plucks her guitar so delicately it sounds as if she will sing a tender love song but instead, Nolin and Engle recount a relationship's demise in both French and English, uniting in an expulsion of grief.